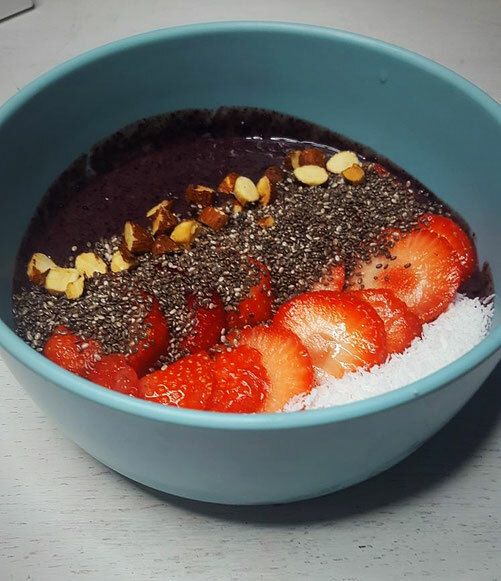 Yesterday I made an Açai bowl for the first time ever! 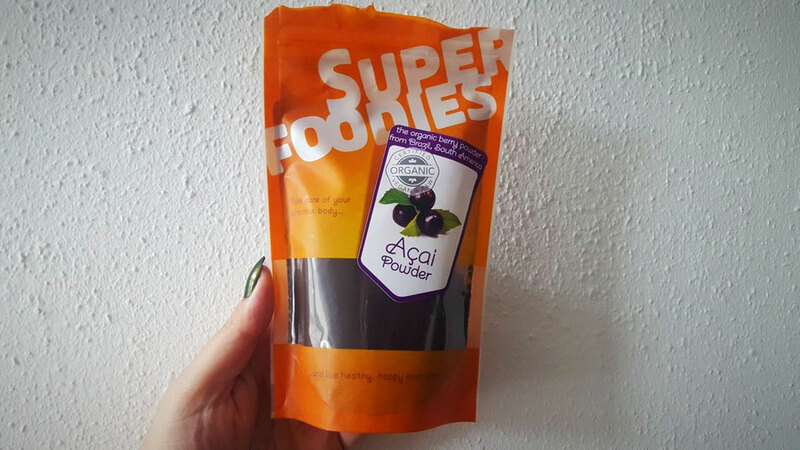 I have never tried this dish, so when I walked in the grocery store and saw that they sell Açai Powder my curiosity was piqued. 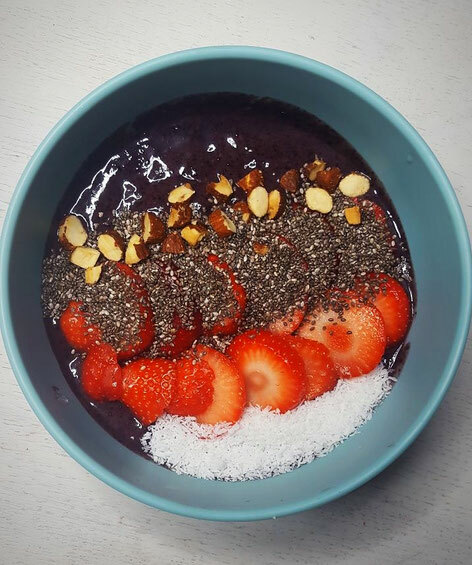 If you want to know how I made this Açai bowl, scroll down the page. 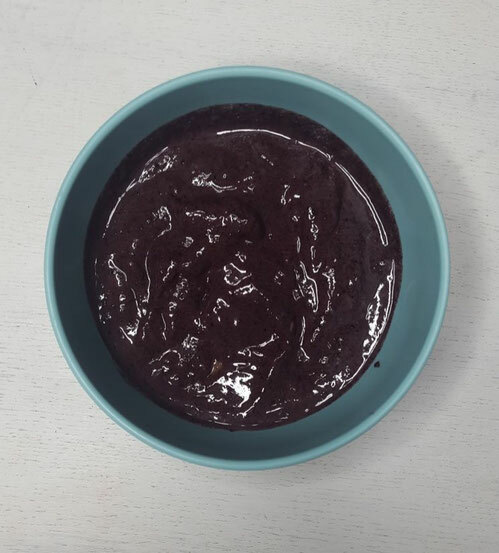 Mix açaí powder with the bananas. Add little by little the milk until you have a thick substance. Put the substance into a bowl. Chop the nuts into smaller pieces and put them in your bowl. Chop the strawberries into slices and put them in your bowl. Add one spoon of Chia seeds and one spoon of Coconut rasp on top and your bowl is ready to eat! Let me know how your bowl turned out!